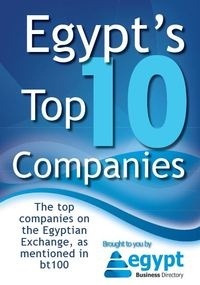 The vision is to get Egypt into the top 10 list of countries by GDP in 5 years time. “The vision is to get Egypt into the top 10 list of countries by GDP in 5 years time.” This vision brought together around 50 progressive Egyptians last Saturday, March 31st. But this wasn’t the vision of any of the Egyptian political parties; it’s in fact apolitical and the brainchild of the Egyptian engineer and entrepreneur Mohammad Youssef Omara. Omara has worked in the US, Dubai and Malaysia for major blue-chips. Since returning to Egypt he founded and is CEO of Fascila Technologies and is also design manager at Silicon Vision. He is already well known and respected in Egypt’s start-up community. He was one of the key organisers of Start-Up Weekend Alexandria in 2011, Egypt’s biggest and arguably most successful Start-Up Weekend to date. He’s also a diligent networker who knows people involved in the Egyptian entrepreneurship scene from all four corners of the country, and at all levels. How will this miracle be achieved? “Simply put, every problem or pain in Egypt today is a business opportunity. Egypt has a lot of problems, so there are lots of opportunities. We will only create solutions with innovative business plans that take into account our culture, and also provide win-win scenarios for all stakeholders, from the entrepreneurs to the investors, from the general public to the government and even the crooks,” Mohammad continued. In other words, if a solution does not provide a benefit to everyone affected, then it will meet with a lot of opposition. We’ve already seen this with Egyptians who are resisting positive change that would take away illegal but substantial revenue streams. That’s selfish, but it’s part of our human nature, so Omara is right to take it into account. And it’s not just street thugs that Omara is talking about, but also government officials. Of those that attended this first meeting, most were under 40, about a quarter were female, a quarter were students, and about half were engineers of some sort. Crucially, none seemed phased by the ambition of the vision, a vision which only 2 years ago would have been preposterous to even the most optimistic Egyptian. Then again, 2 years ago there wouldn’t have a been a co-working space like The District to host the event. The attendees left the event with their first set of objectives set: work on the name, logo, and facebook fanpage. Simple first steps, but Egypt wasn’t built in a day. All agreed that Egypt should certainly be higher up the GDP league table than it is, especially given Egypt’s location, size, resources, history, and depth of talent. It’s this pool of talent that Mohammad’s counting on. Everything hinges on their business model. They have to create a viable organisation, whether for profit or not, that is part think-tank, incubator, design studio, and lobby group. And that doesn’t rely on donations. If they can do that then they will have proven the concept, and then hopefully getting investment in the venture and the companies it intends to foster will not be an issue. At the very least, the results of the team’s brainstorming efforts will be interesting to see. If you would like to add your brain to the mix, the 2nd meeting is planned for two weeks from now. Everyone who has a can-do attitude and is inspired by the vision is welcome.